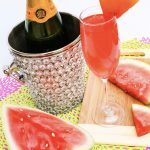 Home » recipes » Watermelon Mimosas — Easy Recipe! 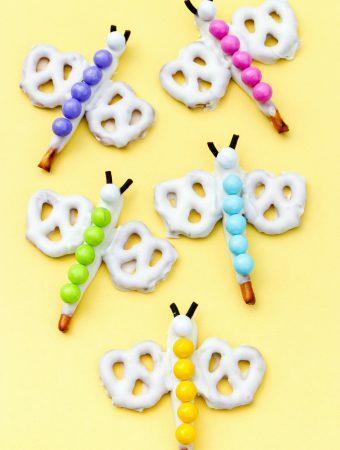 I have the perfect summer drink for you today! 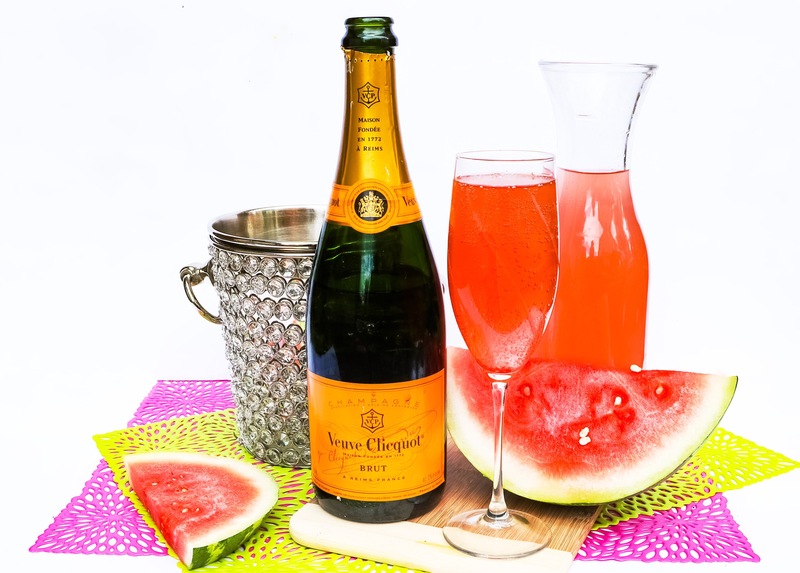 We’ve started with a mimosa and made it taste like summer by swapping out orange juice for watermelon juice! You’ll want to keep this delicious and refreshing champagne drink poolside all summer, and of course, it’s still a tasty addition to brunch. We’re giving you two choices when it comes to the watermelon juice to use in this recipe. So, depending on whether you want a true watermelon taste or more of a watermelon candy taste, we’ve got you covered. Either way, I think you’ll love it! 1. 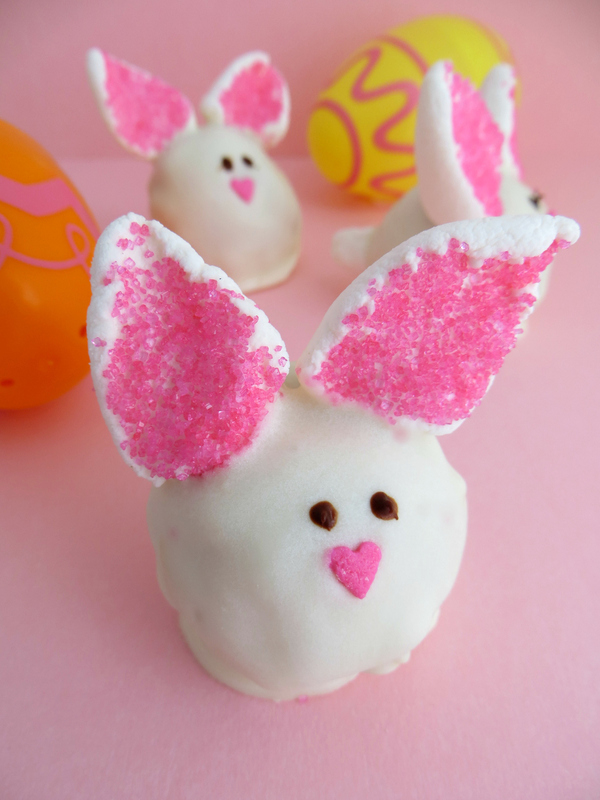 Fill your glass three-quarters full with champagne. 2. 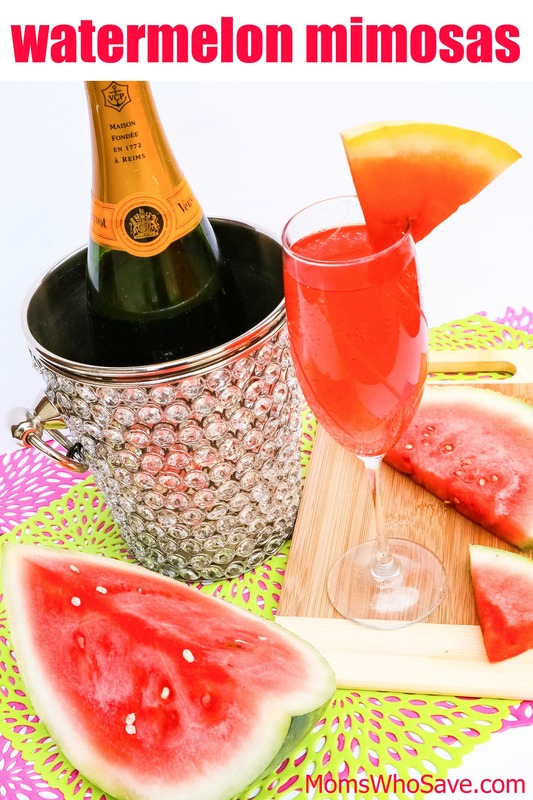 Next, top off your Champagne glass with watermelon juice. I always recommend Tropicana Watermelon Juice since it’s the most fruity. If you aren’t into sweet juices, you can always opt for a pressed watermelon juice. The pressed watermelon juice will be more natural tasting, and the Tropicana reminds me of a Jolly Rancher. 3. 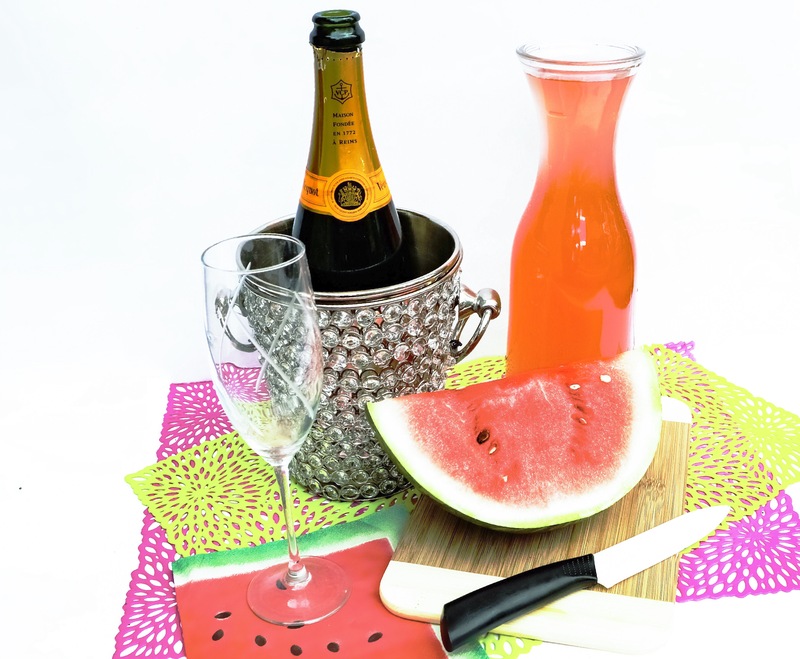 Slice up the watermelon for your Champagne glass garnish. Watermelon juice Tropicana tastes like candy. Pressed watermelon juice tastes like real watermelon! Fill your glass three-quarters full with champagne. 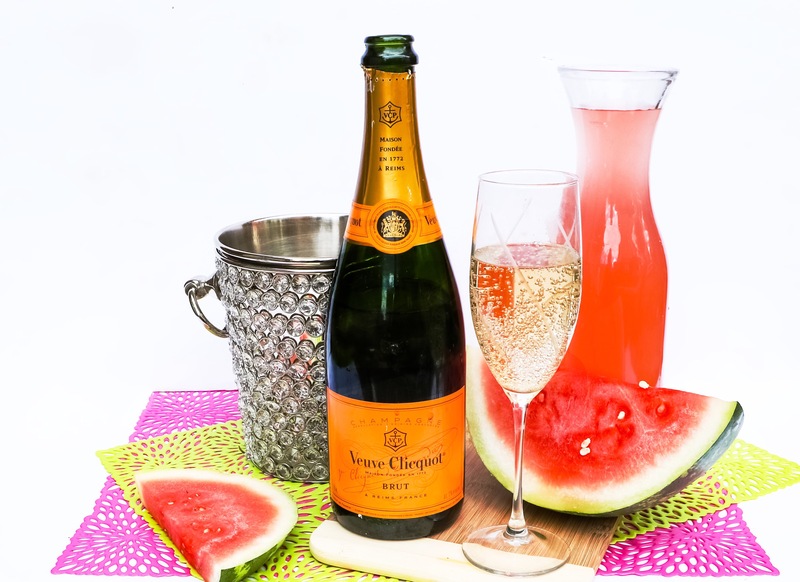 Next, top off your Champagne glass with watermelon juice. I always recommend Tropicana Watermelon Juice since it’s the most fruity. If you aren’t into sweet juices, you can always opt for a pressed watermelon juice. The pressed watermelon juice will be more natural tasting, and the Tropicana reminds me of a Jolly Rancher. 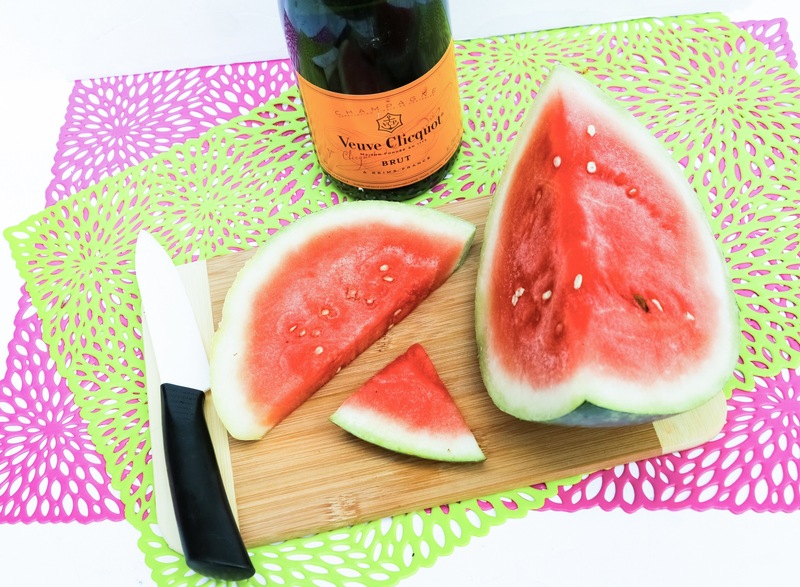 Slice up the watermelon for your Champagne glass garnish. 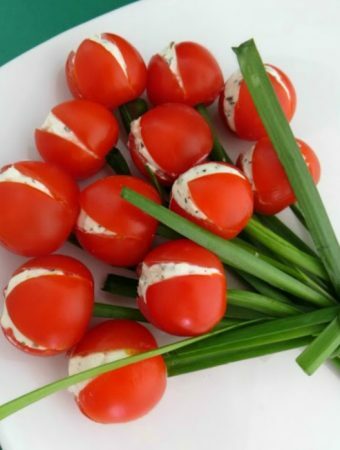 Previous Post: « Have You Tried Poké? Here’s What You Need to Know About This Delicious Hawaiian Dish!